Traeth Bach (small beach) is just over the river from Traeth Mawr and is a small sandy beach with some interesting rockpools. There is a slipway giving access to disabled visitors, and families with young children. 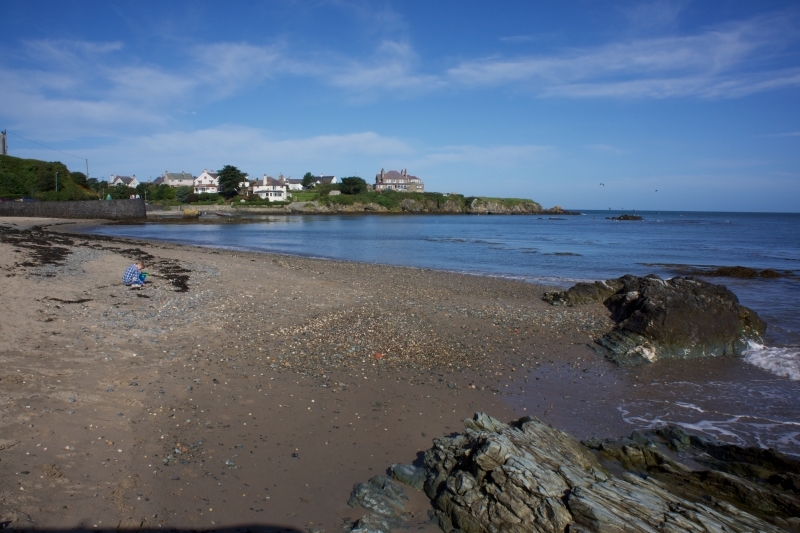 Traeth Bach Beach is adjacent to the Anglesey Coast Path and the Wales Coast Path. The tide at Traeth Bach Beach is currently rising. High tide will be at approximately 2:30 AM tomorrow, and the next low tide will be at approximately 9:00 AM tomorrow. around 9 miles east-southeast as the seagull flies, around 12 miles by road. around 12 miles east-southeast as the seagull flies, around 15 miles by road. around 7 miles southwest as the seagull flies, around 11 miles by road. around 10 miles southwest as the seagull flies, around 17 miles by road. Visitor information for Traeth Bach Beach, Isle of Anglesey, Wales. Weather, tides, visitor comments, beach facilities, photos, nearest postcode, beach information and nearby accommodation.